Watch out Justin Bieber! Cruz Beckham is certainly making one woman swoon. The son of David Beckham serenaded his celebrity mom, Victoria Beckham. The 11-year-old cutie sang ‘Hope’ by Twista revealing a talent for singing. 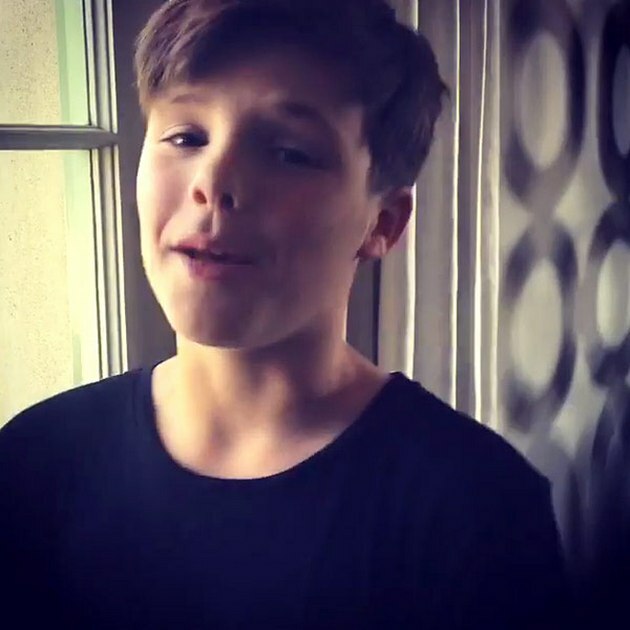 The proud mother of Brooklyn, Romeo, Cruz, and Harper Beckham shared the wonderful video of Cruz’s acapella rendition of ‘Hope’ on Instagram with the caption, “Super cute Cruz!! @davidbeckham @brooklynbeckham #proudmummy X vb.” Looks like the Beckham family has another star on their hands! Related: Victoria Beckham and Brooklyn Beckham Fly Home In Style – See Brooklyn All Grown Up! The entire Beckham family is extremely talented in various ways. Victoria enjoys and incredibly successful fashion empire. Brooklyn has a passion for sports leaning towards tennis and basketball. Romeo is also a keen photographer, while Harper loves sports almost as much as her big brother, the 4 year-old tends to enjoy helping her mother with fashion and occasionally busting out some paintings. The Beckham boys have also dabbled in modeling. You can catch several Burberry campaigns featuring Romeo Beckham. Even David Beckham gets into the fashion fun. Victoria Beckham snapped a photo of the soccer star sewing a dress for one of Harper’s dolls. “Harper has daddy stitching her dollies dresses!!! We love you @davidbeckham ❤️ #lovingdaddy #proudmummy #familyfun,” the former Spice Girl shared. So cute! What a talented family! Do you and your family have a talent or hobby that is a shared passion? Let us know what you and you kids enjoy in the comment section below.